Marana is quickly becoming notorious for its craft beer scene. Typically in this region, Tucson dominates the limelight with the plethora of bars and breweries that litter its streets. Marana, however, is on the come up. It’s hard to find another place other than Marana that has beers made from native mesquite, or a spicy chiltepin ale. You definitely won’t find any other place that embodies the ancient agricultural heritage like the breweries in Marana, that’s for sure. Catalina is a cyclist-themed brewery, meant for cyclists and non-cyclists alike. Before you even enter the door, the gentle smell of beer being brewed subtly tempts you onto the premises. Upon entering, the gentle ambiance and cyclist style décor makes you feel right at home. Couple that with the smell of beer being brewed that lured you in the first place, and you just might feel like you’ve found your second home. If you’re lucky, Hank, one of the owners, will be there to greet you with a friendly smile that is both gracious and endearing. What to drink though? Their flagship beer, the Mesquite Agave, is legit. Made from mesquite meal ground from local mesquite pods, (you know, the ones you see all over the place), and infused with Agave, it’s no wonder this beer has become their most popular. They feature a whole host of other beers, including IPAs, Ales, and a delicious pecan Doppelbock. Perhaps the best thing about Catalina is that they experiment and develop new beers, like their Mesquite Porter, Canada del Oro Golden Blonde, and most interesting of all, the E-Beer Electrolyte Recovery Ale. So the next time you need an electrolyte pick-me-up (from whatever your sport of choice), head over to Catalina Brewing Company for not just enjoyment, but restoration. 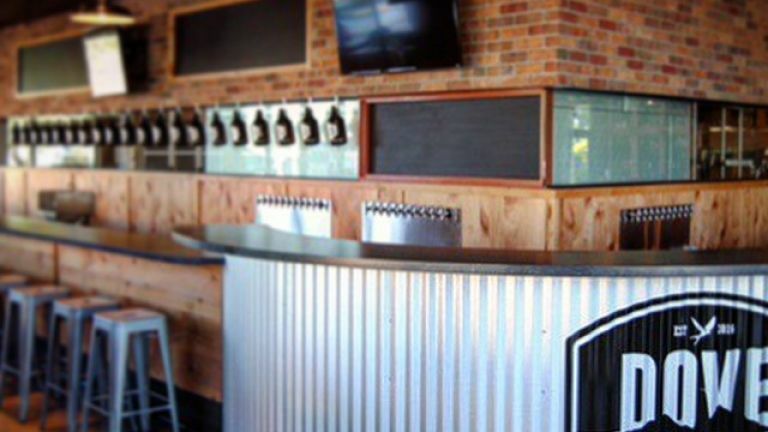 Literally right down the street from Catalina Brewing Company sits Button Brew House. Button Brew House is a local joint, started by Todd and Erika Button. They started this establishment to fill the growing need for craft beer and breweries in the NW Tucson area…and they hit it on the head. Button has some of the best beers around, some great music, and food trucks galore. Wanna have a beer and get some food? Order from the featured rotating food truck, snag your beer, and grab a seat inside or on their front patio. The Button IPA is a fantastic beer. Evenly balanced and extremely hopped, it boasts a perfect floral aroma and a full body. Want something a tad less bitter? Go for the Button Amber. It’s malty, not too dark or light, and has a solid amber color. If you’re feeling adventurous, try the Chiltepin Red Ale. Brewed with Chiltepin chile pepper, lime zest and lemon peel, it’s sure to knock you back a bit. If you like dark, coffee-like beers, try the Darth Muerto. It’s an exquisite Double Black IPA, brewed with Rye and Chocolate Rye Malt. Whether you want a tried and true brew or something spicy and edgy, Button Brew House can slake any beer connoisseur’s thirst. A new addition to the Marana scene, Casa Marana part of the crazy successful Casa Film Bar family in Tucson. 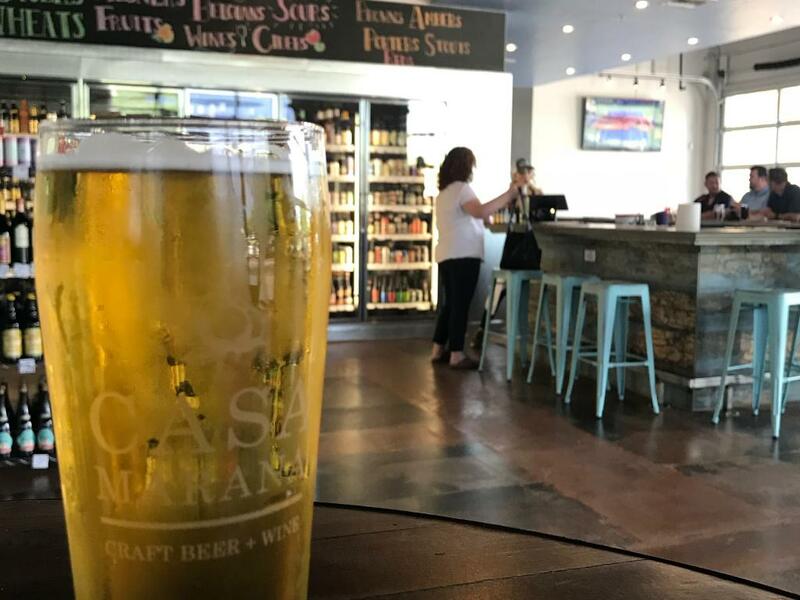 Casa Marana stays true to the welcoming feeling established by Casa Film Bar, plus it has an open, and airy layout that is full of natural light. Casa Marana has an amazing selection of beers on tap, as well as wines. They have everything from ciders and meads to IPAs and Ales, to Sour and Fruit Beers. I’m a Gose fan, myself, so I opted for a 1912 ‘la Toco Sour Project #1 (a very recently added beer, as of this writing), from the local 1912 Brewing Co. It was semi sweet, and very sour…perfect for my palette. After that, I moved on to something a bit lighter, the Pueblo Vida Trigo. This was a solid American IPA that was slightly bitter and very crisp. A seriously enjoyable beverage. Finally, I tried a mead. I’ve never had a mead, and half expected it to be a think fruit drink. While the Original Sin Grapefruit Pinehopple did indeed sport hints of apple, it was much more subtle than I anticipated, and much more delicious. 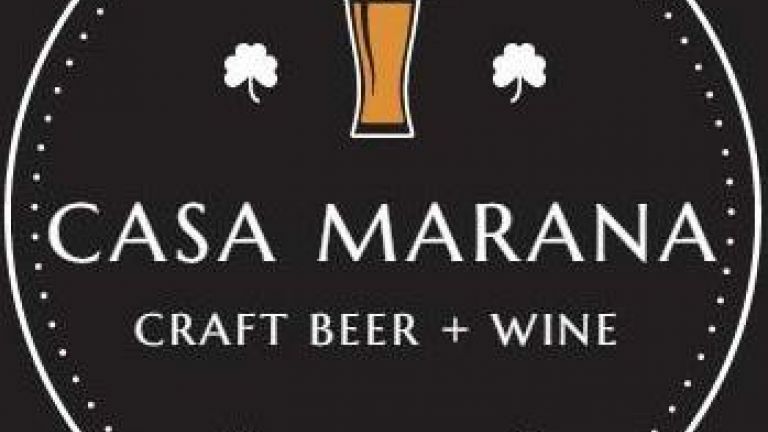 All in all, Casa Marana is a phenomenal addition to the Marana craft brewery scene.  Located at Marana Marketplace, Caps & Corks is another recent addition to the Marana scene. It was the first time I’ve been there, and was very pleased with their selection of both beers and wines. Caps & Corks also serves snack style bar food, including items like popcorn, pretzels, and chips & salsa. They even have coffee! Let’s talk about the tap list: it’s loaded with a huge assortment of Ales, IPAs, Goses, Sours, Saisons, and Pilsners. I tried “The Experiment” first: a Sour Ale at about an 8 ABV. It was extraordinary, featuring a headlining flavor of blueberries. It certainly was refreshing and something I would come back for again. I then moved to a pilsner, the “Hundred Dollar Pils”. Super light and refreshing, this Pilsner had a superb finish that was semi dry with subtle notes of fruit at the end. I probably could have had 2 or 3 of these bad boys! I finished my visit with the Pretzel Cocina bar snack, and skedaddled. Another spot I’ll have to get back to in order to try everything on the menu. Last but not least, I took a visit to Growler’s Taphouse. 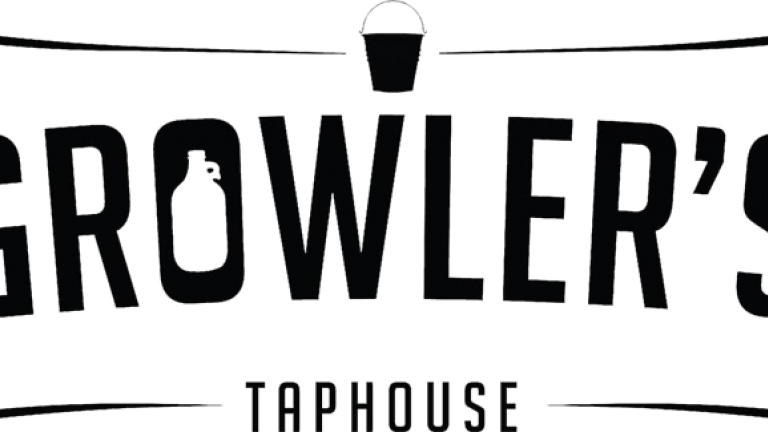 With approximately thirty beers on tap at any given time, Growler’s covered its bases very well. With so many to choose from, both from AZ breweries and breweries from outside the state, I didn’t have any trouble finding something I loved. The “Brut, Scoot and Boogie” beer by Dillinger Brewing Co (out of Tucson) was great. Not too bitter at 20 IBU, it had a light body, wasn’t too filling, and had a solid hoppy flavor…100% would drink again…and again. I switched over to something I knew I’d love, the “Flesh and Blood” from Dogfish Head. This baby was brewed with a TON of citrus: featuring lemons, oranges, and blood orange juice, this thing didn’t even taste like alcohol, making it super dangerous (and super delicious) in mass quantities. I ended with a Rye Stout from Costa Mesa, CA called “The Patsy on Nitro”. I don’t gravitate toward nitro beers, but this one had something special. It was super dark, a little thick, and had a good amount of bitterness. It had a hint of coconut flavor, which I don’t normally like, but in this case, it really brought together a harmony of flavors. 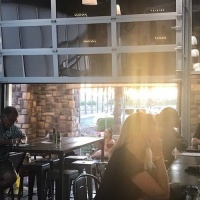 Growler’s Taphouse is a great spot to drop by after work, to hang out with friends on the weekends, or really any occasion. I highly recommend adding it to your list of craft beer sites. 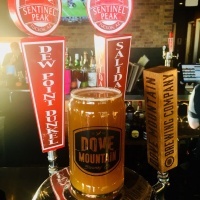 Dove Mountain Brewing Co. is located in the Dove Mountain neighborhood, in Marana. 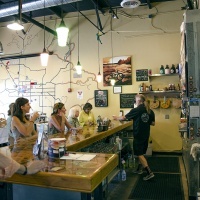 Upon entering, Dove Mountain Brewing Co. is warm and welcoming. 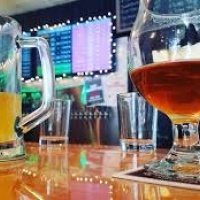 DMB is not a microbrewery, but, rather, is wholly dedicated to providing access to beer connoisseurs to as many local brews as possible, offering craft beers from approximately 21 local breweries. I started off by ordering a Dragoon IPA, one of my favorites, and then moved on to a Baya Gose from 1912 Brewing Company, which had a tart/sweet beginning and a slightly salty after taste. I decided to indulge in a little food, as well. I started with the Taproom Wings with Prickly Pear BBQ sauce. The sauce was phenomenal and the wings themselves were cooked perfectly. I then ordered up two braised short rib tacos. The tacos were street taco-sized and had great flavor. I’ll definitely be trying the calabacitas tacos the next time I pop into DMB. All in all, DMB is a solid spot. With an amazing selection of local drafts, as well as daily food and drink specials, live music, and family nights, DMB offers something for everyone.